MADISON, WI – U.S. Senator Tammy Baldwin today toured Silatronix headquarters to highlight our advanced Made in Wisconsin economy and congratulate the manufacturer on their recently awarded $3.7M Office of Naval Research (ONR) contract. As a member of the Senate Appropriations Committee, Senator Baldwin has championed the ONR program that is supporting Silatronix’s pioneering work. 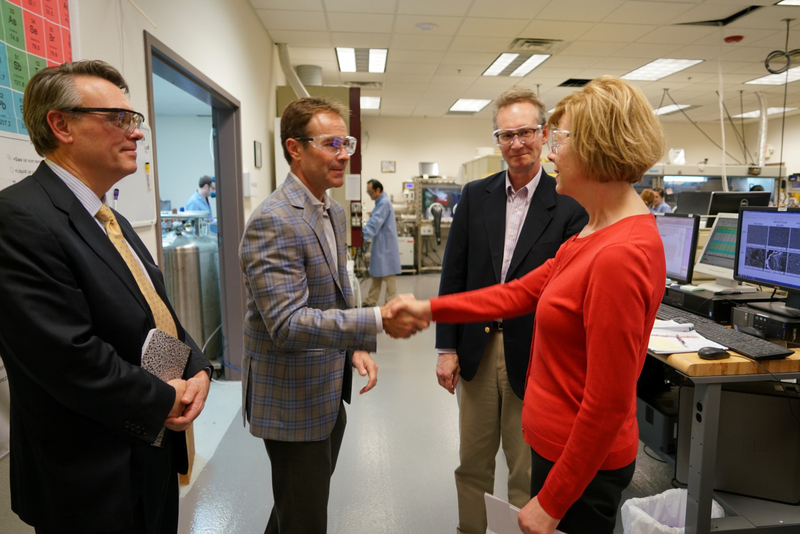 During the visit, Senator Baldwin toured the Silatronix Madison Headquarters facility, which includes their in-house battery and chemistry lab. Senator Baldwin met with the Silatronix team of chemists to discuss the next generation technologies in the works at Silatronix and the new program funded by the ONR contract. This new program will create “Organosilicon Electrolytes for Safe High Energy NCA-Based Li-ion Batteries.” The end product will produce a state of the art high-performance and high-safety battery that will be used in the military's UH-60 helicopter fleet.